Okay parents, I know you are busy in October. I know you got kids school stuff, and sports, and your work to do. I know you have costumes to find, fall festivals to attend, and maybe even some holiday shopping already. And I know you are still trying to make some memories with your kids for Halloween or help at the school Halloween party. Well, I got your back! My blissful friends, I just think there is no reason to re-invent the wheel when I comes to cute Halloween treats. 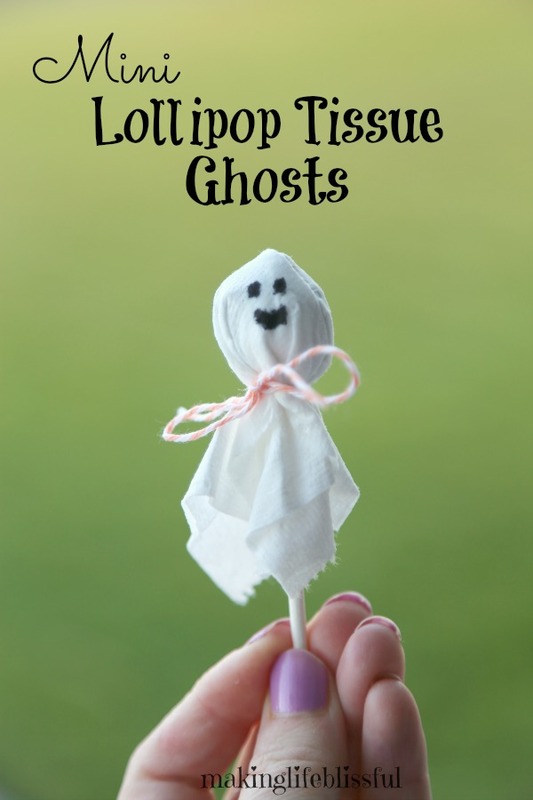 Our mamas in the 70’s and 80’s had the right idea with the easy lollipop tissue ghosts, right? 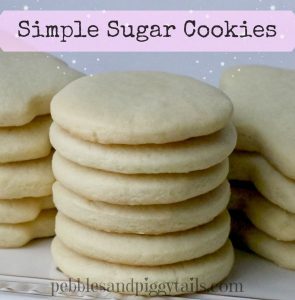 Kids love to make them and they are SO CRAZY SIMPLE for us moms! I mean, everyone has toilet paper, right? 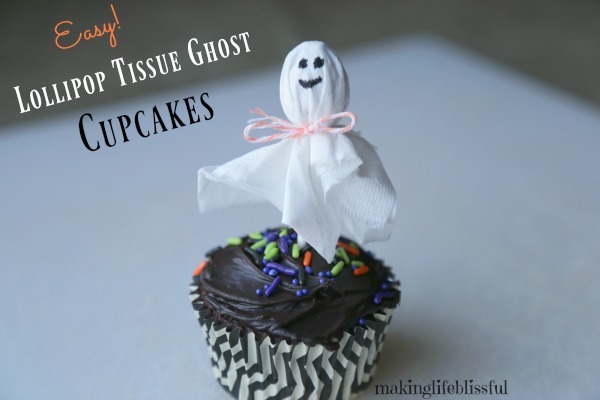 So I’m just taking it one step further and showing you this great idea I had to make Lollipop Tissue Ghost CUPCAKES! 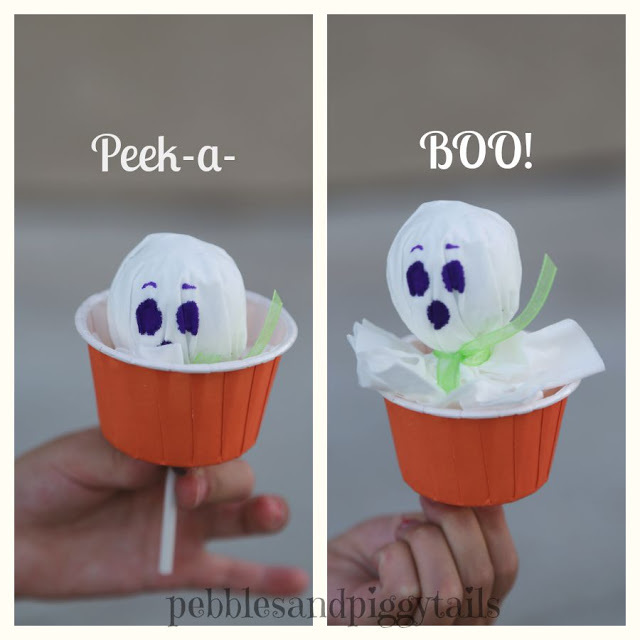 Making this little ghost craft a cupcake makes it so your treat/craft activity for the school Halloween party, or that neighborhood “you’ve been BOO-ED” activity is done in a flash. And it’s so dang cute. Our mamas had the right idea . . . keep it simple. *This post may or may not contain affiliate links. I earn a small commission when you click on these links, but there is no cost to you. These links help fund the expenses related to my blog. Thank you for helping me out! 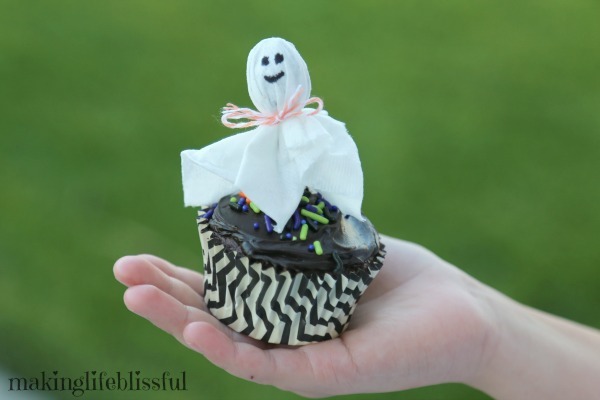 Isn’t this Halloween cupcake just the cutest? And it’s way easier than some of that other stuff I’ve seen out there . . .
ops. The larger suckers work okaaaay, but they are a little heavy for the cupcake and they look a little too bulky. 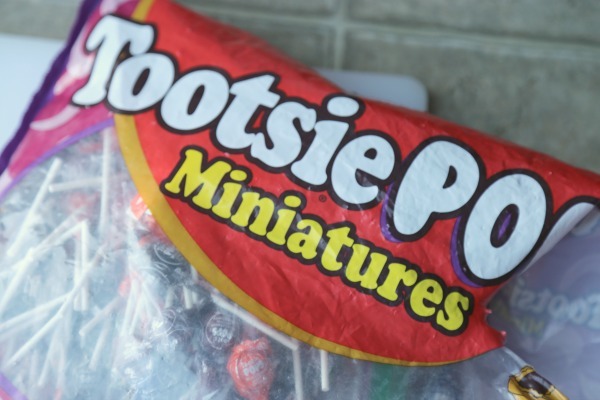 So get little lollipops. Then you need some cupcakes. 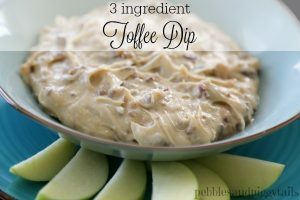 You can use a cake mix like Betty Crocker to make it quick. You can buy the cupcakes at the store, whatever helps make this easy! 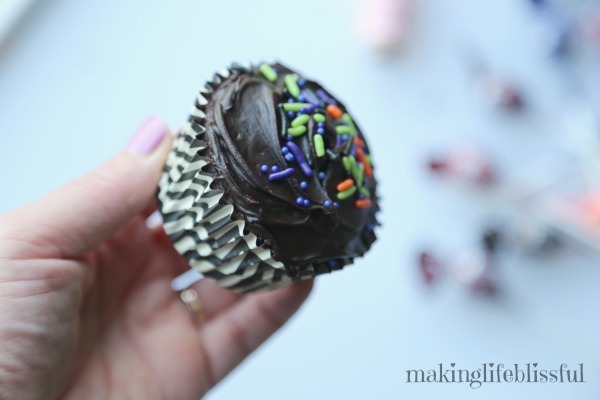 If you want, have the kids frost and decorate their own cupcakes to make a longer, more involved activity. 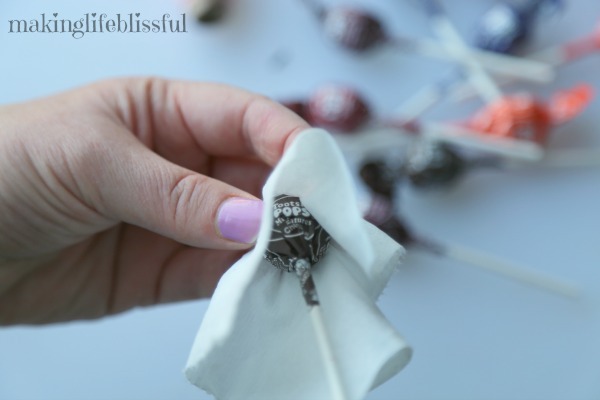 Here’s what you need to make the tissue ghosts: Mini lollipops, black marker, baker’s twine or ribbon, and toilet paper squares (1 square for each lollipop you have). 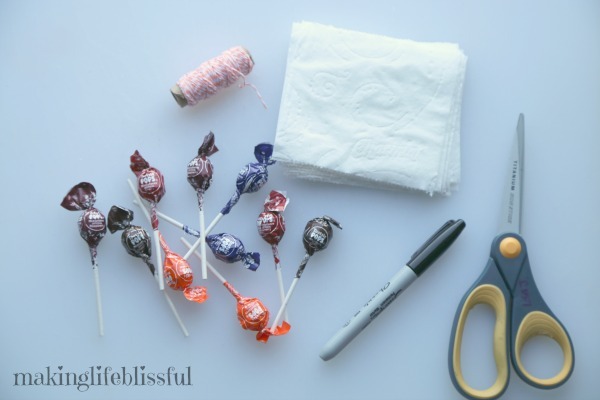 Take one square of bathroom tissue and place a lollipop in the center and wrap the tissue around the top. Tie with the twine or ribbon so you can see the distinct ghost head. Kids may need help tying the ribbon, depending on their age. Add a face with the black marker. You can have the kids to this too. Here’s what it looks like when it’s done. 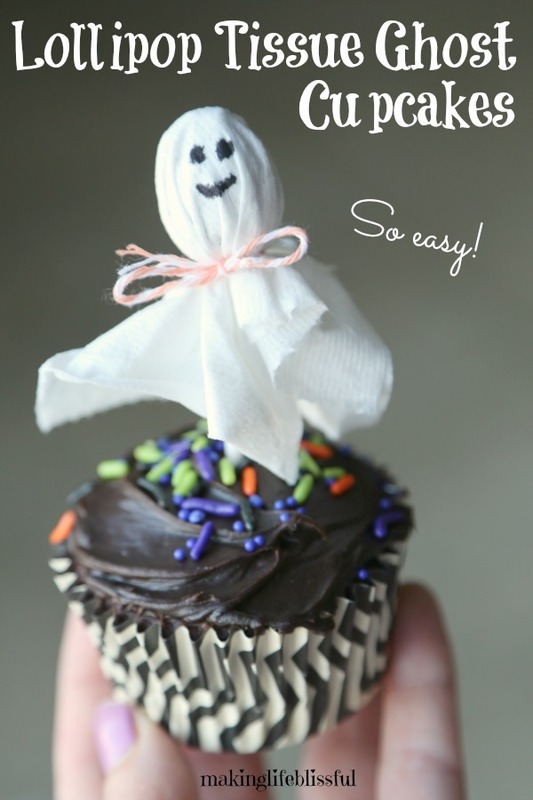 Then simply insert the lollipop ghost into the cupcake and you are DONE. See, that was so easy . . . I hope this helps you celebrate Halloween with a little ease. Enjoy your kids and have a great October! VISIT MY ETSY SHOP FOR CUTE CRAFT KITS AND PRINTABLES! PS. Subscribe to my email to get great ideas and access to my free printables!